Catalina Island: Located 22 miles off the Southern California coast, Catalina Island is famous for its wildlife and outdoor activities. Some of the most popular are snorkelling, scuba, horseback-riding, kayaking and hiking. Regular boats depart from Newport Beach, Long Beach, San Pedro and Dana Point. Sonoma Coast: Sonoma Coast boasts picture-perfect beaches with powder white sand and clean water. The area is also home to over 300 species of birds. Hermosa Beach: By day Hermosa Beach's boardwalk is frequented by bikers, bladers, joggers and strollers. By night it's an excellent spot for people watching. Venice Beach: Venice Beach is world famous for its lively Ocean Front Walk. This is the spot to see and be seen! The beach itself boasts the typical California coast stereotype of golden sands, great surf and plenty of sunshine. 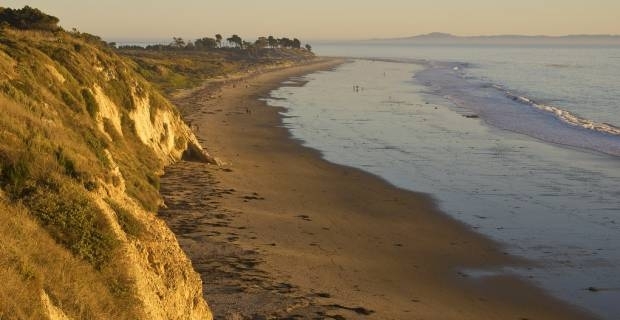 Pismo Beach: Pismo Beach offers a relaxed, friendly vibe that makes it a popular choice for family holidays. It's also a top spot for watching the sun sink into the Pacific. Laguna Beach: Laguna Beach is the perfect stretch of sand to unfurl your beach towel and soak up the rays. Things move at a slower pace in Laguna. La Jolla Cove: This may be one of the smallest beaches in California, but it's also one of the best. It's a popular spot for scuba-diving and snorkelling, thanks to visibility that extends up to 30 feet and wildlife protected by the San Diego La Jolla Underwater Park Ecological Reserve.